A look at the life of migrant workers through a child's eyes. Emma Turner loves books and dreams of one day having the store-bought kind, but the Turners are migrant workers and money is tight. That means "no extras," so Emma must be content to make her own stories and books. 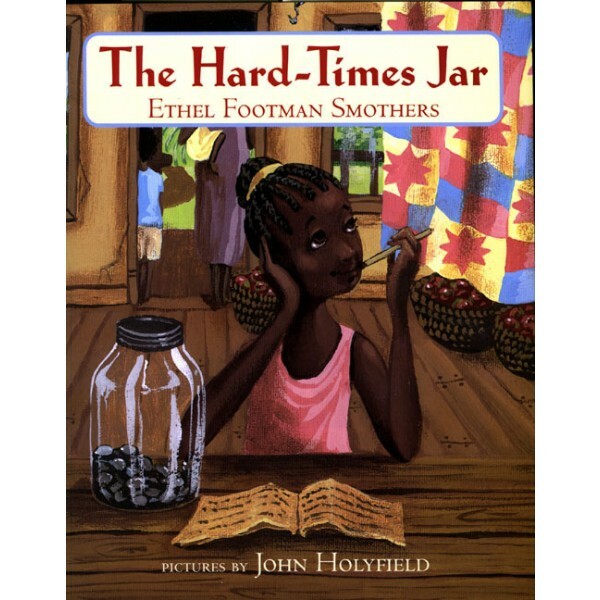 Emma has a plan, though -- she's going to save all the money she earns picking apples and put it in Mama's hard-times jar. Then there will surely be enough for extras. But when Mama tells Emma that this year she has to go to school instead of to work, it spoils everything. Now she will never own a store-bought book! But school turns out to have a wonderful surprise in store for Emma. 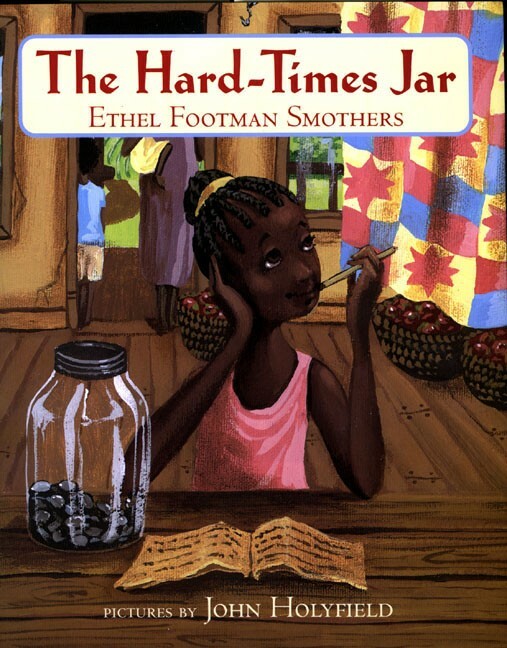 Based on Ethel Footman Smothers's childhood, the story is brought to life with lush acrylic paintings, giving us a touching portrait of a book-hungry child.